I had the pleasure of attending the ASUG Best of SuccessConnect Roadshow in several cities over the past few weeks. This past week in Atlanta, Georgia, Kevin Kress, HCM Solution Principal at SAP SuccessFactors, shared the latest SAP® HCM Roadmap including an update on the strategy, recent innovations and planned direction for SAP SuccessFactors. These are my favorite kinds of presentations from SAP SuccessFactors as they all follow a similar format of saying what the latest advancements are in each module, what is planned and often you get a peek at the future direction. I especially like the HCM Suite updates that are divided into Suite-Wide, Strategic HR and Core HR. In the old days access to this type of information was limited to a select audience or you learned about new technology only when you were applying the Legal Change Packs! 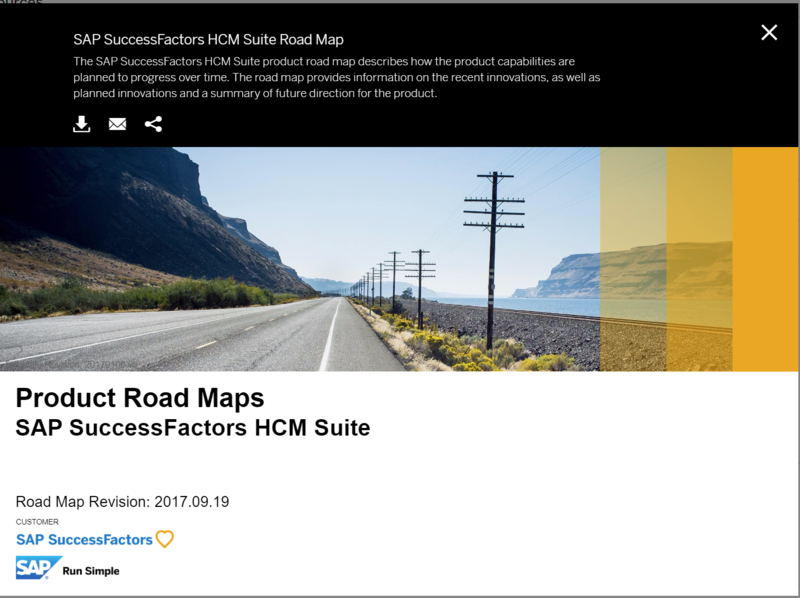 SAP SuccessFactors however does a great job of sharing their Roadmaps every quarter and more importantly making it easy for customers to access them. When Kevin finished his presentation, the audience had such a great response prompting Yvette Cameron, Senior Vice President of Strategy at SAP SuccessFactors, to inquire if everyone attending knew that they could easily access this information on their own. That made me think, perhaps not everybody is aware of how easy it is to stay in the know on the latest developments in SAP SuccessFactors. So… I thought I would show you how to do it. The only thing required to get started is a valid SAP ID which all customers should have. The appropriate Roadmap will be displayed.